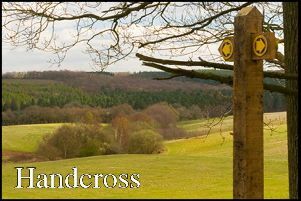 Saturday: is another fund raising day in the village, this time in aid of Handcross Preschool and Handcross Ladies Association who are hosting a Coffee Morning and Sale in the Parish Hall between 10 am and 12 noon. They would very much appreciate your support even if all you do is go along with the aim of purchasing a cup of coffee and slice of cake – you might be persuaded to purchase a Christmas present or two, a raffle ticket or five, or even a whole cake instead of a slice as there is always the opportunity to buy a homemade cake at such events! Such events are very much the main stay of raising funds for small self-funding organisations such as Handcross Preschool and do need your support, especially if you have little ones. I hope to see you there! On Tuesday, 20 November HLA: are hosting a Ladies Social and Buffet for their November meeting in the Parish Hall from 7.30 pm. After they have enjoyed their meal, they will be tested with a quiz. If you would like to know more about HLA, speak to anyone on the Committee on Saturday or get in touch by email at handxladies@gmail.com. On Wednesday, 21 November: the Parish Hall will be hosting the Rosemary Club for their meeting from 2.30 pm. Unfortunately, at the time of writing I have not been able to find out what the theme of this month’s meeting is but I’m sure it will be an interesting one. If you are aged over 55, male or female, and are looking for something to do or want to meet people of a similar age, why not take yourself along and join in. If you would like to know a little more about the Club before going, get in touch with Helen on 07540 816170; if you live in the village but find it difficult to get up to the Hall, get in touch with Alison on 07773 602394 as she co-ordinates the Community Bus pick-ups. The cost attending a meeting is nominal and you can enjoy a homemade tea whilst there. Don’t forget the Christmas Craft Day: at the Hardware Shop on Saturday, 24 November between 10am and 3 pm – more details next week but if you want to know more, as always where the Hardware Shop is involved, Christina will be able to provide more information should you need it either in the Shop or on 400212.